This conversation has been sponsored either with product or payment, but the opinions and chit chat are all my own. It seems like between the smells that come with kids, pets and cooking my house can take on some funky odors! If it isn't the smell of onion sauteeing or the smell that arrives after a child comes home from sports practice sweaty, things can get... interesting in the department of aroma in no time! I am not a fan of aerosol air freshening products. I also don't dig incense. I love to melt tarts, but since moving last year, I have had to give that luxury up. There is not a single outlet in this house that is safe for my warmer with the kids grabbing at any and every thing! I was ready to throw in the towel and admit defeat against odor. I mean really, what can a woman do? Opening windows is great when the season allows, but there are some odors that want to linger. 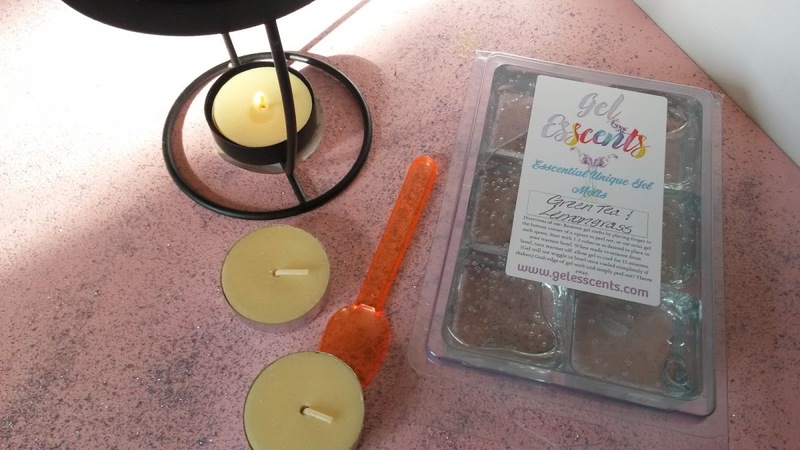 Then I got to sample a few of the luscious fragrances that Gel Esscents has to offer. First, you can use this in an electric warmer or you can use this product in a tealight burner like I did. Both offer great results. Second, gel is such a better option because you don't have to chip at hardened wax and the gel comes out of the packaging easily and it comes out of the warmer or burner easily. The first day I used Gel Esscents, I honestly didn't think the melts were working. I had been hanging out working in my dining room and lit the tea light in that room. When I dashed up stairs and back down, the aroma I couldn't detect earlier was in the air and it was amazing. It was Beach Linen scent and it smelled divine. I used 8 tealights, an entire box and the fragrance was still going strong, which is impressive. Finally I pulled the gel out and switched for another scent, this time Green Tea and Lemongrass. Again, it was nothing short of incredible smelling. Again, I used 8 tealights and the gel still had a strong fragrance. These little squares of fragranced gel are nothing short of awesome. They are long lasting in ways no other product I used in the past could hope to be. If you are looking for a great home fragrance product, I highly recommend Gel Esscents. The 5 fragrances I tried were great, they have made my house smell divine, no matter what odor might be lurking from kids, animals or cooking! 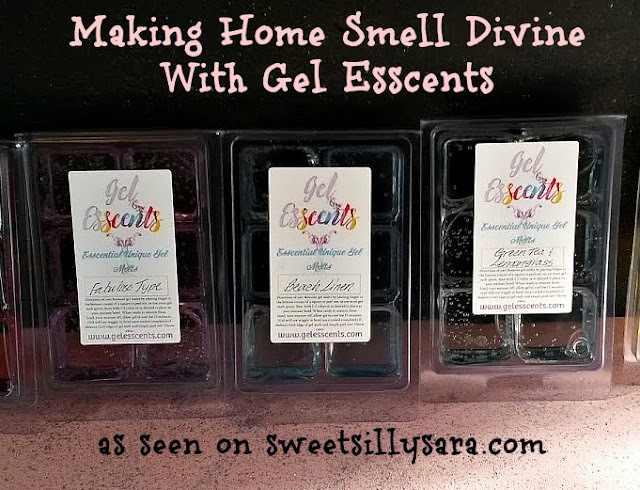 Connect with Gel Esscents to learn more or to order.